We’re celebrating 30 years of creating beautiful gardens. Think back 30 years to 1988. Can you remember what happened in the UK that year? Comic Relief was launched by Rowan Atkinson. Colin Pitchfork was the first person to be convicted on the results of DNA analysis. The Liberals and the SDP merged to become the Liberal Democrats. The £1 note ceased to become legal tender. Geoff Hamilton was presenting Gardeners World on TV. Edwina Currie provoked outrage by stating that eggs are infected with salmonella. 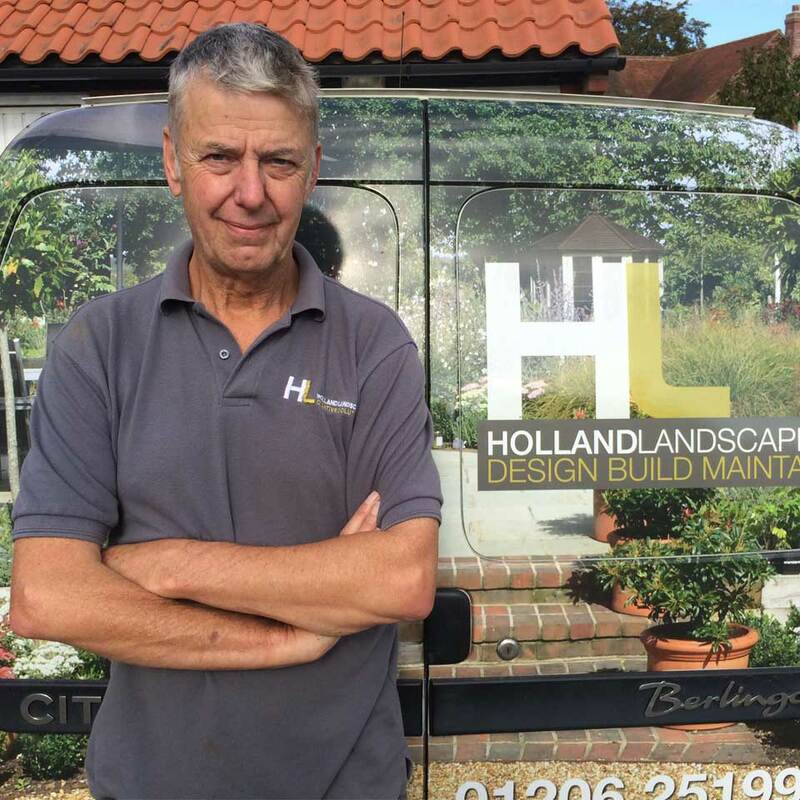 Chris Baker founded Holland Landscapes. Our Director, Chris Baker started out in much the same way as some of our celebrity TV gardeners. He was earning his living at a job that didn’t afford him much time outdoors. At weekends he would supplement his income by maintaining a few gardens. One fine day Chris gave up the day job, bought a truck and started his own gardening and property maintenance business. That business evolved into just gardening and lo – Holland Landscapes was born. Chris’s son Paul, joined the business in 1998. Paul had been working alongside his Dad from his early teens. He earned his pocket money by mowing and labouring during weekends and school holidays. His career plans though, centred on computer programming. As many of us have discovered in life, the best laid plans don’t always work out. It wasn’t long after starting college that Paul decided that actually, he actually quite enjoyed landscaping – the rest as they say – is history. Today, Holland Landscapes is a very successful organisation. Directors Chris and Paul Baker are very much at the helm but neither of them are afraid to get their hands dirty. The business supports 7 full time employees. In addition, specialist trades such as electrical installations and brickwork are subcontracted out to local craftsmen. Then there’s Tapestry Design Studios – a second Company recently founded by Holland Directors Chris and Paul Baker. Between them, the two businesses contribute hundreds of thousands of pounds to the local economy each year. Every year Holland Landscapes carry out a whole range of jobs. From fixing fencing that has blown down in winter gales to large scale design and build projects. No matter what the job is, the team work to the highest standards. And their work has won them no less than 10 industry awards. Holland Landscapes has been a member of the APL (Association of Professional Landscapers) since the late 1990’s. The APL promotes quality workmanship and regularly vets all of their members. For most of the time, APL members are very good at sharing tips, helping each other (even their competitors) to improve skillsets and raise the profile of the landscape industry. However, once a year, landscape contractors get all competitive and invite industry experts to judge their work. 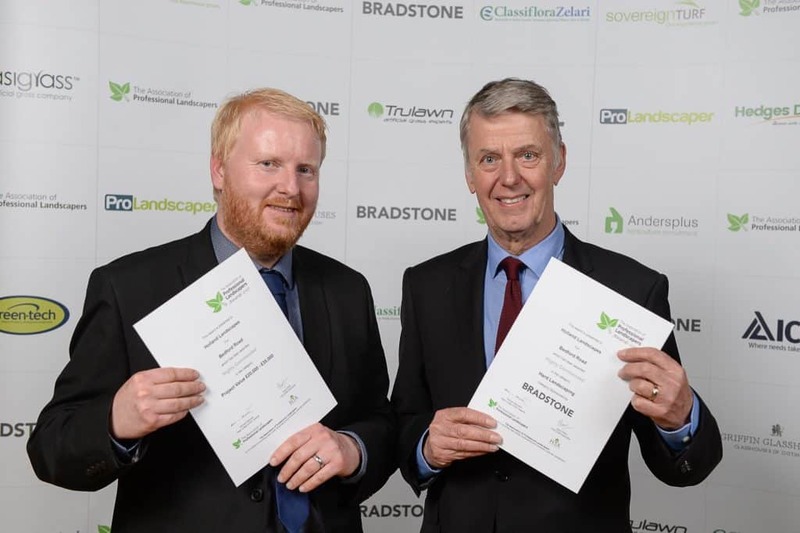 Holland Landscapes are one of the few landscaping companies to have won 10 APL awards including the prestigious Supreme Award and the Young Achiever Award. Biggest challenge in the last 30 years? 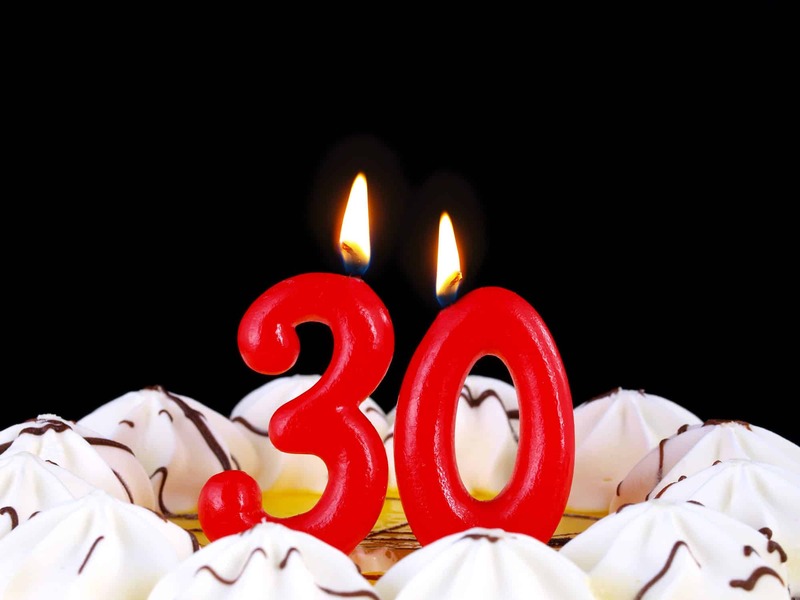 30 years is a long time in Landscaping. When Chris started Holland Landscapes, Gardeners World was hosted by the late, great Geoff Hamilton and decking had hardly even been heard of. Probably the biggest change that Chris and Paul have seen during their joint careers has been a really big increase in the amount of natural stone being used. Holland Landscapes has weathered more than one economic recession. The result of having a solid foundation, a great reputation and a sensible approach to business. Some things never change. The Landscape industry is forever struggling to recruit really good workers. For Holland Landscapes, finding the right staff has always been a challenge, especially when folks with the skillset needed for landscaping are also needed in the construction industry. The current team at Holland Landscapes are amazing and win lots of praise from customers. Definitely winning the APL supreme award in 2011, beating companies who have won many golds at RHS Chelsea. What an accolade! What does the future hold for Holland Landscapes? During the course of the next year we’re going to be sharing some fabulous stories and pictures from the last 30 years on our social media sites. If you’d like to see what Paul was wearing in the 90’s or what Chris used to drive to work, keep checking in to our Facebook, Instagram and Twitter accounts.